Camping in the deserts of the southwest USA can be a unique and rewarding experience. The stark beauty of red rock mesas and mysterious hoodoos is enchanting. But the harsh climate and terrain that defines a desert requires a few adaptations when camping. Here are my tips for desert camping and hiking. Several years ago a Scottish Scout troop came to Arizona, and as their American hosts, we urged them to drink, drink, drink – water, that is. By the time you feel thirsty, you’re already dehydrated. Arid climates require one gallon of water, per person, per day – minimum. Hiking in temperatures over 100 degrees in strenuous conditions, you may need up to four gallons a day. If you plan on doing some hiking while in the desert it is wise to hike with a hydration bag which is essentially a bag with a rubber tube. You fill the bag up with water a place it in your backpack then have the rubber tube (straw) to come out the top of your bag to keep you hydrated as you hike. 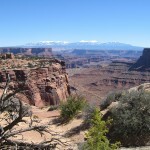 The American National Park Service recommends one quart an hour when hiking the Grand Canyon. After two weeks of hiking and camping in the southwest, the Sottish scout leader told us that “Before we came here I thought water was something you washed in. I didn’t know you could drink it!” Don’t forget to snack as well to replenish electrolytes lost through sweating. If your campground does not have potable water, take enough to drink as well as wash, and remember that caffeine and alcohol actually make you more dehydrated. Sun and heat are another factor to watch. Wear sunscreen, and reapply often. Sun-glasses and a wide-brimmed hat help, as do light- weight clothes that cover exposed skin. Rit Sun Guard is a product you can use in your washer to help sun-proof fabrics. This product is great because it does not damage your clothing or change the colour. After washing your clothes with the Rit Sun Guard it will give your clothes a UPF of 30 which protects your skin from the suns harmful UV rays. I washed white, long-sleeved shirts for myself and my kids with Rit Sun Guard before one camping trip, to make the equivalent of my husband’s sun-guard fishing shirts. You can also buy clothes with SPF material there are a range of SPF shirts for men , women and kids . A wet bandanna around the neck helps to keep you cool, or you can buy a Cooling Bandannas which have absorbent crystals sewn within it. Soak the bandanna in water for a few minutes to allow the absorbent crystals to absorb water, tie around your neck and it will stay cool and wet for several hours, even days! Perfect for camping or hiking in a hot climate. We take telescoping poles and a tarp to rig a shade shelter, which doubles as a rain shelter in summer monsoons. An E-Z up canopy is great as well. Without trees to tie things to, we use the poles for hanging trash bags and stringing a clothesline. Set up your tent on high ground, as summer storms can flood low areas. Avoid mountain tops where lightning might strike. July through September is our monsoon season, and flash floods are not uncommon. Sometimes it seems like we get our seven inches of annual rainfall all in one summer storm! 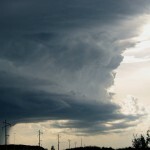 A weather radio is a great gadget to take along it will alert you to any weather warnings in your area. Always have basic first aid and survival kit as well, even on a day hike away from camp, no one can predict an emergency but you can prepare for one. Ensure you pack some extra food/water, a lighter or matches and a whistle . Cell phones don’t work in many areas, and temperatures can vary forty degrees in a day. Creepy-crawlies and prickly plants appear threatening, but encounters with cacti, snakes and scorpions can usually be avoided. Only once in twenty years have I been “cactused” and that was when I was trying to make prickly pear jelly from the cactus fruit. Snakes are most active in the spring. Always shake out shoes and sleeping bags, and never put hands and feet anywhere you can’t see. Wear sturdy footwear ; flip-flops are no match for thorns that can puncture a bike tire. 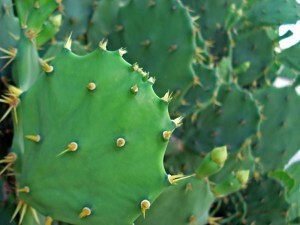 Tweezers, a fine-tooth comb, duct tape and Nair can all be used to remove cactus spines. The American Southwest abounds with places to camp: national, state and county parks, extensive national forests, and private campgrounds. 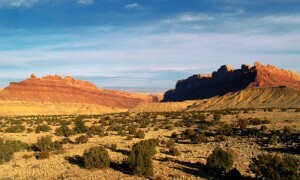 You can camp year-round, and see everything from petroglyphs to ghost towns, white-water rivers to wind-scoured cliffs. Away from cities the stars are amazing, and just gazing up at the Milky Way at night makes the camping experience worthwhile. I hope you found my tips for desert camping and hiking helpful. If you have any more tips for desert camping and hiking please enter them in the comment box below -Thanks. 5 responses to "Tips for Desert Camping and Hiking in the Southwest Desert USA"
We were part of the Scottish Scout Group and everything that has been written is so so true, fantastic piece. I really want to go back to Arizona Maybe next year. Wow that is very cool! Amazing that you can personally relate to this experience. I agree this article is very well done, great information shared -thanks Betsy! I too would love to go back to Arizona, it has some amazing and unique landscape- one day…like you say… Thanks for your comment. Thanks for your comment! Wow! Hiking in Israel that must be beautiful and amazing! Those are definitely top tips for anyone hiking in a hot climate. Keeping cool is the key. Always ensure your body is getting enough water to keep hydrated and that you protect your skin from the intense sun. Always plan and prepare yourself before going desert hiking and that way you can keep safe. Ben, its sounds like you are quite the adventurer, would you be interested in sharing some of your advice or experiences with CampTrip in a guest post? I would love to learn all about hiking in Israel! 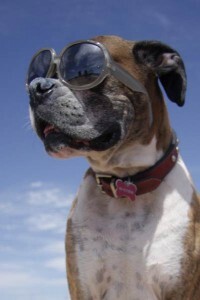 I love the dog with the sunglasses! It reminds me of my dog. Its very true about staying hydrated. I actually live in Utah and have had a lot of camping experiences in the desert. If you are thirsty, you already are dehydrated.